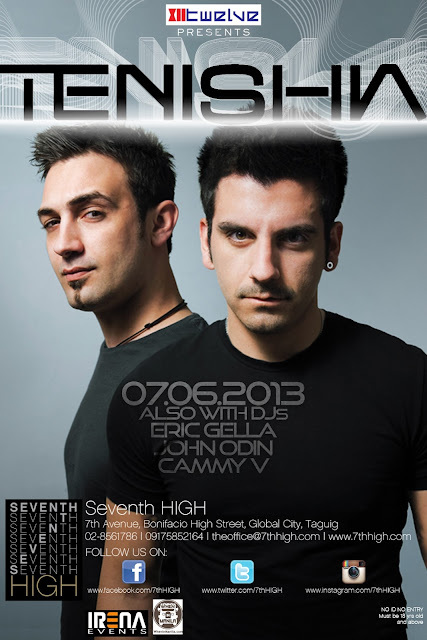 Seventh HIGH, Manila’s premiere boutique nightspot, takes you above and beyond your typical nightlife experience. Known to host the hottest events and sought-after parties that cater to a range of markets, from young professionals to esteemed socialites, Seventh HIGH elevates your usual evening leisure making each visit an experience to remember.This is why we are hosting not just one, but TWO back to back international events to welcome July 2013 with a bang. This 3rd quarter of 2013, Seventh HIGH will be partnering with 1 Music Festival, the biggest music event to happen in Singapore this year that aims to bring together some of the world’s best nightlife acts. The event will take place at the Marina Barrage, Singapore during the Gran Prix season on September 20 & 21, 2013. 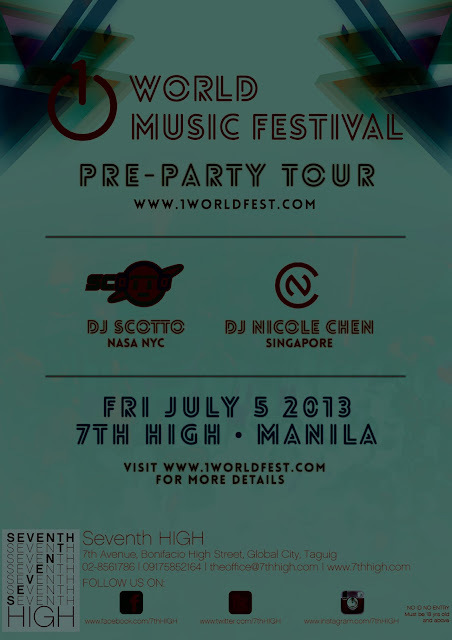 In line with this, Seventh HIGH has been given the privilege to host the pre-party of 1 Music Festival in the Philippines on July 5, 2013. Two foreign DJs - Nicole Chen from and DJ Scotto will be performing at The Club of 7th HIGH, ensuring a night of international clubbing and world-class entertainment. On July 6, 2013, the night after the pre-party, Seventh HIGH together with Twelve Presents Tenishia and Irena Events present Tenishia, the most successful DJ/ Producer in Malta. Tenishia is an acclaimed and multi awarded international DJ garnering awards at the Malta Awards such as Best Newcomer Award 2005, Best Live Performance 2005, and 3 years in a row Best Dance Tune Award. He has influenced this generation’s clubbing enthusiasts to procreate their own versions of Tenishia Live events that had become a massive hit together with their production of the biggest progressive trance tunes on Armada Records which is now breaking through sound-spheres worldwide. Moving with the tide, and delivering the freshest and best that the international scene has to offer, Seventh HIGH once again proves that they indeed go above and beyond when it comes to partying and entertainment. For more information on these events and reservations, kindly contact 09175852164 or like their Facebook page.